We are in the process of expanding our guides and digital access to highlights from our extensive Quaker collections. A much improved Quaker Records section with searchable database of our holdings and detailed guides for how to access our older Quaker records online is coming in August 2018. Contact us at archives@guilford.edu if seeking specific information relating to any of our Quaker collections and resources. The Quaker Archives is the official depository for the records of North Carolina Yearly Meeting (both the historical NCYM and NCYM-C and their constituent meetings). Researchers can consult these records on site during the research room hours. Older meeting records are also now available via Ancestry.com. William Wade Hinshaw’s Encyclopedia of American Quaker Genealogy, Volume I, is a complete index and abstract to genealogical information in the older records. It is recommended that individuals consult the Hinshaw volume as a first step in researching North Carolina Quaker records.  Guilford College houses the archives for most of the region’s Friends meetings, including NCYM (FUM), NCYM(C), Southern Appalachian Yearly Meeting and Association and several independent monthly meetings. In addition to answering specific questions related to the affairs of these meetings, the archives staff assists researchers and writers who are preparing histories of their meetings and communities. Most publications can be located by searching the Guilford College catalog. Select "Libraries Worldwide" to find publications here as well as libraries elsewhere. 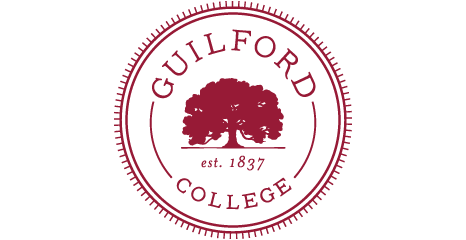 Select "Guilford College" if wishing to find sources specifically in the Quaker Archives. Quaker books that are available for borrowing with a Guilford College ID are located in Library 117. Some books in Library 117 have a blue label which means they can be accessed anytime but are not available for borrowing. Quaker periodicals (magazine and scholarly journals) are located in the Research Room (current issues) and in LIbrary 117 (selected back issues). High use current issues are displayed outside of the Research Room and available for consultation whenever Hege Library is open. Library 117 is available for research and study whenever Hege Library is open and also provides access to microfilm viewing. Quaker Reference books and periodicals are located in the Research Room (Library 116) which has more limited hours and do not leave the library. Quaker Rare and all other Rare Books available for consultation by request. Contact us via e-mail or come to the Research Room (Library 116). The Quaker Archives is updating ways to access our Quaker periodicals collection, both online and in print. Please contact us at archives@guilford.edu if seeking a particular title or issue. Not all of our periodicals are cataloged at this time so search results may indicated we don't have something (either in print or electronically) when we really do! Browse currently received print magazines and journals in on our display area and in our research room. The largest groups of organizational records we hold are the archives of Guilford College and the archives of North Carolina Yearly Meeting (historically and more recent separate groups). In addition to Quaker meeting records, we also house records for several Quaker founded schools and organizations, including Quaker House of Fayetteville, New Garden Friends School, and Virginia Beach Friends School. Contact us at archives@guilford.edu for additional information. Most non-text collections are not maintained separately except in the case of larger artifact collections. Extensive image collections are included with the College Archives and tbe Manuscripts. Selections are sometimes made available online through exhibit and those seeking particular images or visual representations of topics are asked to contact us in advance of visiting. Digital projects are underway to provide access to our oral history audio collections. A list of the manuscript collections appears on this web site to provide researchers with additional information about our holdings. Researchers are strongly encouraged to make an appointment with the Quaker Librarian in advance if they wish to have access to these materials. The Quaker Archives staff is not able to take on research projects for individuals and does not provide large scale reproduction services for manuscript materials. The majority of the collections are original materials acquired by the Quaker Archives. Some collections are photocopies or typescripts of original materials held either privately or by other institutions. Very few of the Quaker Archives manuscript holdings are available on-line at this time. There are links to finding aids and related collections for some entries and additional finding aids will be added as they become available. We also have incoming collection which may be available for consultation by appointment that are not yet listed in this guide. Questions? Contact us at archives@guilford.edu. Manuscript Collections are listed alphabetically by collection name (often the name of an individual or family) at https://library.guilford.edu/manuscripts . Dates listed pertain to the dates of materials in the collection and a brief description is usually provided. Additional information, such as finding aids and related links, are provided when available. The search box in the upper right corner of the page can be used to search for all instances of a name or word in a collection title but does not search the finding aids or collection details comprehensively. Guilford's artifact collections include several samplers and representations of needlework. Our three nineteenth century North Carolina samplers are featured online through Digital NC. Those wishing to consult our sampler or other textiles items are asked to make an appointment during our research room hours.